For mounting exterior trim, side mouldings, emblems & nameplates. 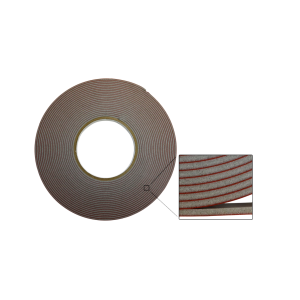 This acrylic foam tape has an aggressive, high performance adhesive on both sides and works on all types of plastic mouldings & emblems. Won’t crack or dry out, doesn’t absorb water, and will not migrate in hot water.